Ulqin, Mal i Zi, Harmonia, 2014. 289 pp., price not shown. Sheh Tahir Kanaqi, may his mystery be sanctified. Sheh Tahir Kanaqi, a representative of the Rufai [Sunni] Sufi order (tariqat), lived from 1908 to 1985. He is one of the most important representatives of the Islamic meditative tradition in the Albanian lands and the former Yugoslavia. He was born in the village of Kraja, in Ostrosi e vogël, an Albanian region that was seized by Montenegro (Mal i Zi) in 1912. His beloved homeland, whence he directed his teaching, is near to Virpazar and overlooks Lake Shkodër. It is supremely peaceful and beautiful, although conflict between Albanians and Montenegrins has scarred the land repeatedly. But as a Sufi, sheh Tahir Kanaqi recognized as his spiritual duty the reconciliation of all human beings, the task to which he dedicated his life. The present volume is a collection of studies, documents, photographs, poems, and other memorabilia from the life of sheh Tahir. It is based on a conference celebrating him, held in Ulqin in 2012, with the participation of a remarkably diverse range of Albanian intellectuals and religious figures. These included numerous Islamic clerics, as well as a Sufi companion of mine, Sadik Pelinko from Ulqin, and Don Frano Markiqi, a Catholic priest. Don Frano's Albanian Catholic appreciation of an Islamic holy man was echoed by other participants in the seminar. As a Rufai Sufi, sheh Tahir Kanaqi participated in a tariqat spread widely through the Albanian lands, as well as in other Muslim countries. The Rufais are best known for their extreme concentration, which allows many of them to carry out acts of self-mortification through piercing of the face and body with sharp, metal objects. This book does not, however, deal with Rufai doctrines and practices. Rather, it emphasizes the intellectual curiosity and public generosity of sheh Tahir. He was an indefatigable collector of books and periodicals, including an exceptional range of religious and secular publications, a writer of letters, and a supporter of projects for the improvement of social life. 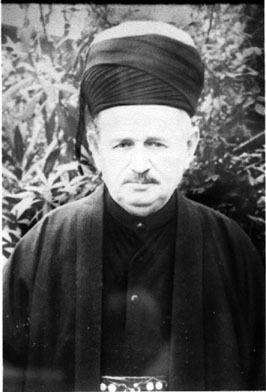 Tahir Kanaqi entered the New Medresa of Shkodër in 1927. The school was nothing like the image of a "medresa" as a school for Quranic recitation, such as is found in many poor Muslim countries. Its curriculum included Arithmetic, Geometry, Geography, and Gymnastics, alongside its religious classes in Quran, morals, and the Arabic language. Tahir Kanaqi scored high – grades of 9 or 10 – in all the classes he took, skipping only two, in French and singing. In 1940, while Albania was "united" to Italy, he was granted a credential to teach the 12th grade in the state school at Shkodër. With the end of the second world war in the Balkans, in 1944, sheh Tahir opted to return to Mal i Zi. This was probably a wise choice considering the extreme repression of religion inflicted eventually in Albania proper by the postwar dictatorship of Enver Hoxha. Sheh Tahir was, however, invited to celebrations of Kurban Bajram in Shkodër in 1955 and 1957. He was involved in Titoist campaigns for literacy in the Albanian language in Mal i Zi. Under Tito's rule, his responsibilities as a man of faith included participation in the delegation of ulema (Islamic clerics) in socialist Montenegro, and administration of awqaf (vakufs) or pious endowments in Ostrosi and Qyrjani in 1951. 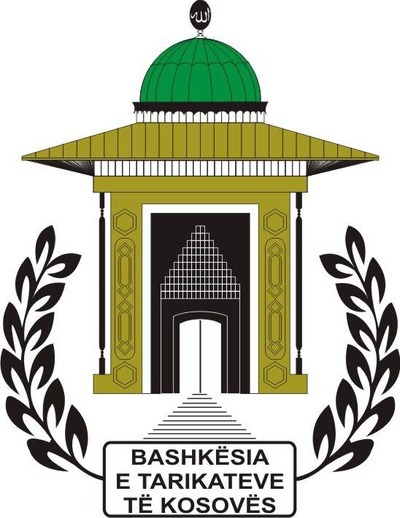 Symbol of the Kosova Sufi Union (BTK), formerly the ZIDRA/BDRIA. He was also an active representative of the Rufai Sufis in the Community of Aliite Islamic Dervish Networks in the former-Yugoslavia, known by its Serbian initials as ZIDRA and in Albanian as BRDIA, centered in Prizren, Kosova. That body was founded in 1973-74. He contributed to HU, its bulletin, and was close, naturally, to the Rufai sheh Xhemajl Shehu, the long-time head of ZIDRA/BRDIA, who died in 2004. Sheh Tahir travelled to Chicago in 1979 and to Albania after the fall of Communism. Among his final efforts were achievement of approval for reopening of Rufai teqet in Ostrosi and Tivar in the year he died. As may be seen from this volume, Sheh Tahir was an open-hearted man – the model of a Sufi. Especially in the West, where Sufism is little understood, the mystical trend in Islam is viewed only as a means of transcendence through ecstasy. Shaykhs and their disciples are seen as seeking an extreme form of charismatic religiosity that lifts them away from everyday life. But in the Turkic and Balkan lands Sufis have traditionally played a special role as contributors to general human welfare. The biography of sheh Tahir Kanaqi shows this aspect of Sufism, which is a credit to Albanians as the only indigenous people in Europe with a firm Sufi tradition. The sheh served religion, but he also worked for the benefit of his neighbors. For that reason alone we must hope that many Albanians will read this book and that it will be translated into English.